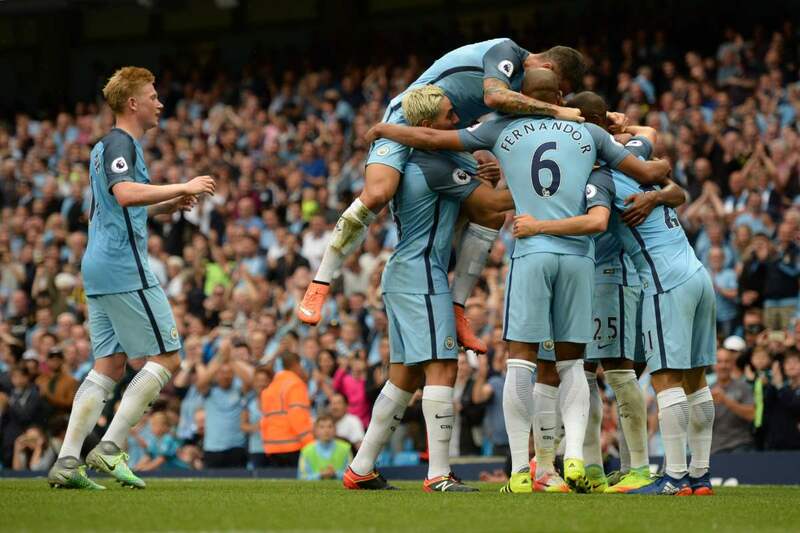 Just as it appeared Manchester City were going to run away with the title, a handful of teams threw their hats into the ring - and the jockeying for position won't stop anytime soon. Tottenham Hotspur trashed Guardiola's winning record, Liverpool fought back to top Swansea and Arsenal finally had a bit of luck go their way against Burnley before the international break, making the horizons for this early interval in the season very exciting. Admittedly, some were quick to jump the gun. It took a rather straightforward plan from Tottenham to deny the Citizens of a record-breaking win. Mauricio Pochettino certainly took some notes from Celtic days before the clash, and it worked wonders as his team gave their opponents so little space to breathe, compounding them to the most minimal of margins to operate. Rather than their usual swashbuckling blend of exquisite ball movement and ferocious tempo, the league leaders were reduced to mere mortals - something the rest of the pack would have been optimistically looking on. Watching on more closely perhaps were Liverpool and Arsenal, two teams who didn't go into the international break with outstanding displays but scraped by their opposition on that weekend. These wins have almost become the norm - the consensus that the volatility of this league makes it near impossible to breeze past opposition, no matter if they're relegation battlers or budding for European football. 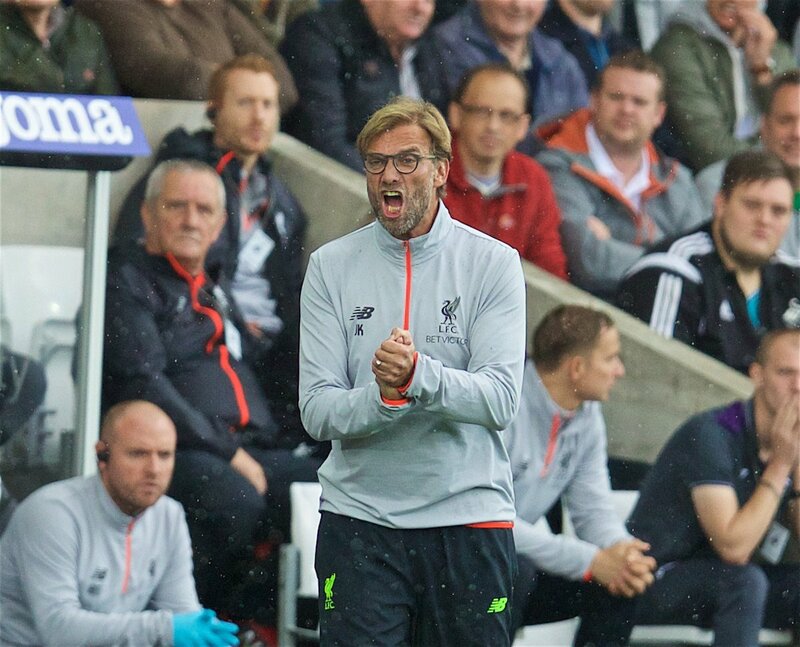 Jürgen Klopp nailed his half-time team talk at Swansea, with the Reds coming out with a new lease of life to grab the three points, while Koscielny may have grabbed the ball (if you're speaking to fans in Burnley) to win it late at the death. With all that being said, only seven weeks of football have been played. The complexion will continue to change as turbulence picks up towards the mass congestion of fixtures around Christmas, which is where the true metal of all will be tested. Needless to say, writing off Manchester United, Chelsea or even Everton at this point would be unwise - especially with last season's craziness still firmly in the minds. At this stage, though, it appears those four have thrown in the bid. While only a couple of points do separate them from the others, the intent of those performances may speak louder than the tallies. Manchester City were at the top of most betting slips or sweepstakes prior to the season - and they've proved rightly so. 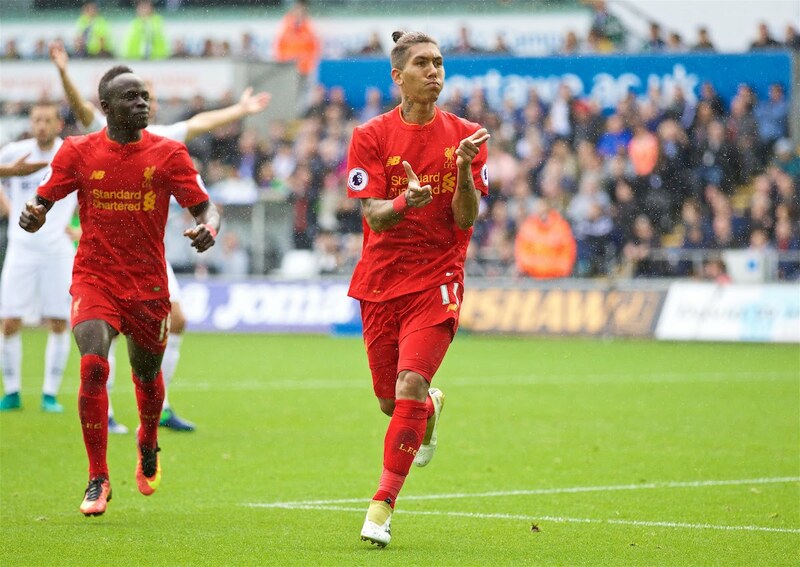 Liverpool's consistency and defensive frailties caused and may still leave some doubt. Tottenham Hotspur challenged last season and have everything in their toolkit to do so again. 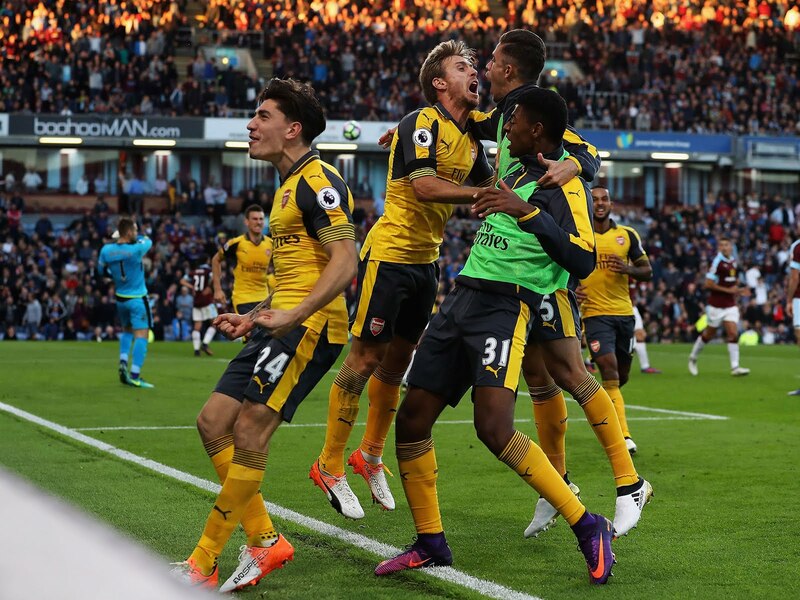 Arsenal, finally, have always been in the mix - but a bit of luck could make a strong start to the season much more than it was before, no more mid-season dip to drown out their hopes. Delving further into the Premier League book of cliches, the season is a marathon, not a sprint. 38 weeks of pacing yourselves through thick and thin, fixture after fixture, with the margin for error decreasing as the weeks count down to May. It means that you can't just rely on a spark, or expect some instant overnight fusing of all your talent. Even if Guardiola appeared to have achieved that in the early weeks, there is more work ahead to prevent the wheels coming off. But, the advantage may come for the other clubs in the fact that their managerial stints have lasted longer. Arsene Wenger celebrated 20 years as the man in charge of Arsenal over the international break, while the Reds reflected on a year in to the Jürgen Klopp era. Mauricio Pochettino has been at the helm for Spurs for well over two years. There's few stranger issues in these clubs - even if Liverpool strengthened significantly, everything fits and they've had time to do so. It won't make it a cakewalk for them either, but the impetus is on them. Speaking of advantages, the pileup of fixtures will take its toll on the teams. It doesn't matter how deep your squad is, sometimes just the omission of one player can lead to a collapse. Arsenal, Tottenham and Manchester City all have Champions League football on their agenda - but Liverpool do not. The last time this was the case they went on to challenge in a magical 2013/14 campaign, and now with a win streak and a ton of momentum behind them, they could make up ground. Not to forget, Chelsea have their slate clean in that respect too, and with a few waves being made prior to the international break, if Antonio Conte can establish a solid structure then they won't be too far of the beat. Manchester United as eluded to earlier may have been written off, but when can you ever with a team that have injected so many resources and we're at the early mark of the campaign? Frustratingly though, they were held by Stoke City a week after they put on a clinic against the champions in what seemed like their perfect template for the rest of the season. Joe Allen denying them of all the points is far from the best way to go in to the international break, but they've shown crucial indications of what they can achieve. 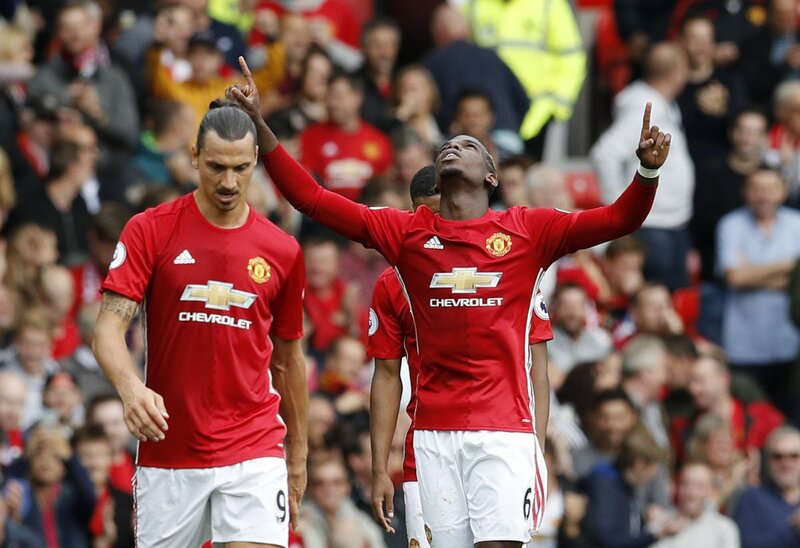 At this moment in time, they're just out of focus - that could change though if Paul Pogba can replicate his few signs of form, and Zlatan Ibrahimović to kick on. Undoubtedly, the Rooney saga may linger over as one big distraction, or a blessing in disguise. No matter what, you cannot over stress that at this stage, nothing is certain. From the evidence so far though there is reason to believe that three clubs will be in City's rear-view mirror for the most part, if not in front. Slip ups, injuries, twists, turns, everything will be anticipated. Tottenham have toppled the mighty side and Liverpool and Arsenal are encouraged to follow suit. Before, it appeared that Pep would walk it - but now this might be another title race to remember.